Colour in and cut out the dragon’s face. Tape a long strip of fabric to the back to create a body. Glue orange tissue to the mouth to create flames. 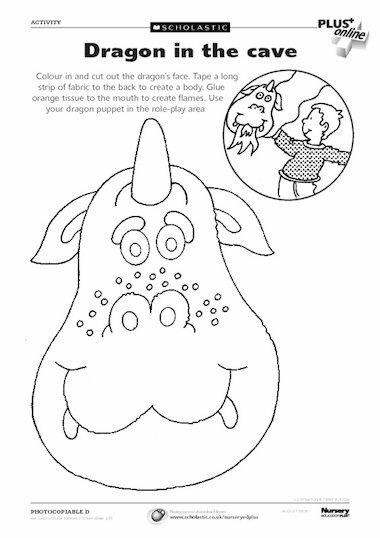 Use your dragon puppet in the role-play area.